Chelle 'Gypsysnail' Destefano is an established visual artist with a quirky and appealing style that has seen her invited to exhibit her 'Roam the Blue Ghosts' series at last year's prestigious Venice Biennale in Europe (2015). The exhibition was a great success! Chelle, born in Melbourne, now resides in Adelaide, South Australia in her home country, Australia, where she creates her distinguished mixed media style of work with watercolours, inks and washes. She has a love for illustrative style and enjoys working within and outside traditional artistic bounds. A natural storyteller, the artist often finds that without realising that she is telling a combinations of her own stories and the tales of others. This usually becomes apparent when she reveals her artworks to others, who immediately feel a connection to the story - relating to it through their own personal experience or a deja vu. 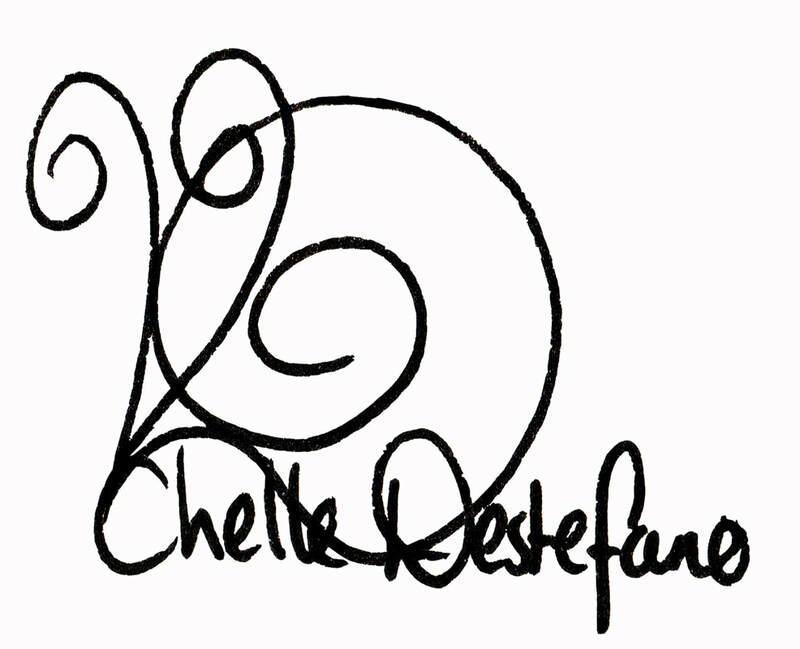 Many people feel drawn to have an original Chelle Destefano (Gypsysnail) piece of art due to this intangible connection. Chelle chronicles visions that have become a folio of stories, some of which have become printed books complete with the written word describing the artist's inspiration. Chelle has a Bachelor of Visual Arts and Applied Design (2006) from SA (South Australia) Arts School. She consistently works on a body of artwork of a particular theme at one time, to produce a moving series of works that are perfect for the exhibition environment. Chelle's artworks have been exhibited extensively throughout South Australia and Melbourne and internationally. Chelle recently exhibited in Venice, Italy and Paris, and is going onto exhibit again in Paris in September 2016 and London at the Australian Embassy and the Severndroogs Castle in October 2016. Chelle's work is held in public and private collections throughout Australia and internationally in London, Paris and Italy, including the Museum of Cultural Arts and in the prestigious Art Images Gallery, in Norwood, South Australia. While open in her sources of inspiration from everyday life, Chelle's favourite subjects are antique and vintage objects, old empty buildings and the odd animal! Her intention is to draw things that seem odd or out of place in real life, finding beauty in unexpected places - like the Volksy bug beetle with a tear running down his 'face' or tackling staircase inside a house. Chelle is currently represented by Museum of Cultural Arts (MOCA) in the UK.